Honda is a well-known auto brand known for its emphasis on competence and sophistication. From the Honda Civic to the Odyssey, Honda’s cars, trucks and SUVs support their values. Indeed, when evaluating Honda car shipping companies, we recommend working with a transporter that shares their values by demonstrating both competence and sophistication – while putting their customers first. They need to communicate well, work hard and ensure every Honda car shipping experience goes as smoothly as possible – especially yours. Keep reading for useful tips regarding how to ship your Honda, shipping cost and why Honda owners and dealerships nationwide have been choosing us with their car shipping needs since 2006. Of course, if you’re ready to move your Honda, request a free customized car shipping quote. Or, give us a call at 1 (888) 886-3456 today. Shipping your Honda should be a pleasant and easy experience. The first step to a positive Honda car shipping experience is to do your research online. Avoid selecting a transporter solely based on lowest cost. In fact, with many companies in the auto transport industry, the lowest price can lead to unwanted delays and frustration. In reality, the cost to ship a Honda depends on factors like the time of year, location and type of shipping. For example, open car shipping is less expensive than enclosed, but they each offer pros and cons worth considering. Instead of focusing on the cost to ship your Honda, we recommend selecting your Honda car shipping company on the greatest likelihood of a safe, on-time pickup and delivery. The best Honda auto transporter has a flawless five star reputation among customers. They are a well-established car shipping company, fully licensed and insured. 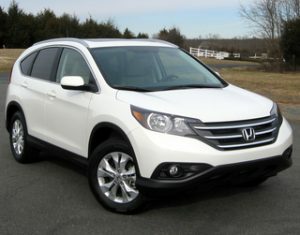 The transporter shares Honda’s focus on competence, as shown by their outstanding reputation in the industry among customers. In other words, your car shipping company will do what they say they will and deliver your vehicle safely and on-time. With over 30 years of trust and reliability, we will make every Honda auto transport move easy for you. Read what our Honda customers say and then get in touch for your next car move. Recently had the opportunity to use Fisher for a customer who had purchased a vehicle and needed it shipped from Pinellas Park, FL to Boston, MA area. Not only was the price superior to all other transportation companies I contacted, Adam and his crew were prompt with response times. It was such an easy process that I will definitely use them again in the future when a customer needs a vehicle delivered. Very professional staff, delivery drivers, and process. My customer was ecstatic at how quickly the car arrived and the condition in which it arrived in. My experience with Fisher Shipping was easy and totally professional. After getting a couple of quotes from a couple of other companies, I called Fisher Shipping and spoke with Dave. I told him I needed my Honda Civic shipped from New Hampshire to Las Vegas. He gave me a quote and stuck with that number. He booked me with a trucking company that was also totally professional and told me my car would be in Vegas 8-10 days (barring any unforeseen circumstance) after pick-up. The car was picked up on time and was delivered, damage free in exactly 8 days. I’m totally satisfied with the service Dave provided and they will most definitely be the company I will use again when having my vehicle shipped! Call these guys they’re good at what they do plain and simple. Used Fisher Shipping to transport a Honda Odyssey in 6/15 from Raleigh, NC to Palm Springs, CA. Had great communication with the company and especially the driver. Car showed up ahead of schedule by taking less than the week to 10 days estimated and with no damage. Would clearly use their services again. Enclosed Honda transport available: If you’re shipping a new Honda or making a long distance move, you may want to choose covered or enclosed auto transport. “When another company failed to pick up my vehicle, Fisher was able to find a driver the same day. My car arrived in great shape in the time they quoted. Excellent service.” Matt A.